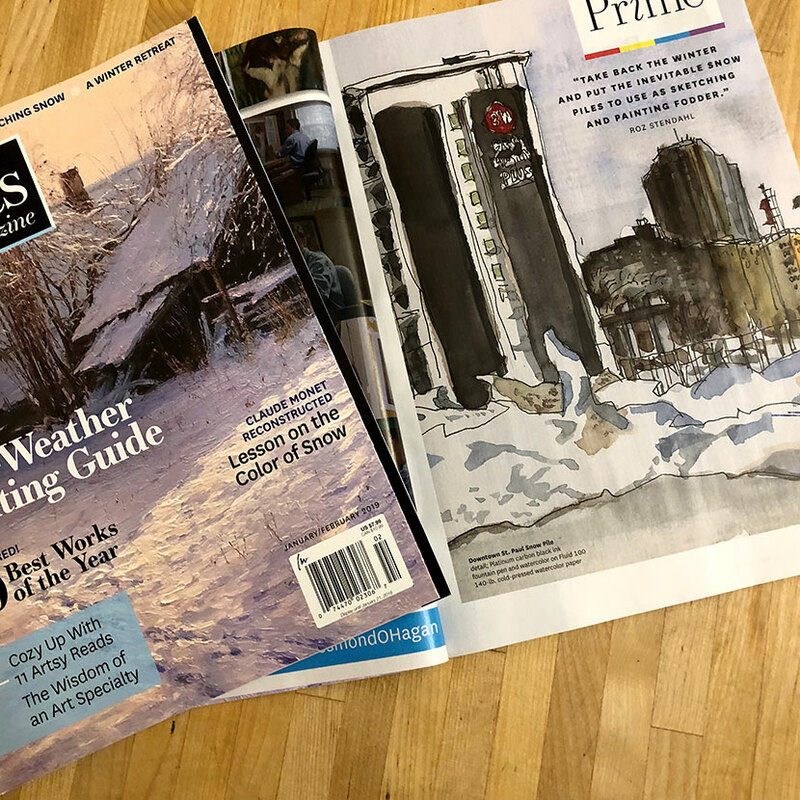 A portion of the cover of the January/February 2019 issue of Artists Magazine (left) and the section opening page—one of my snow pile sketches. My copies arrived a couple days ago. 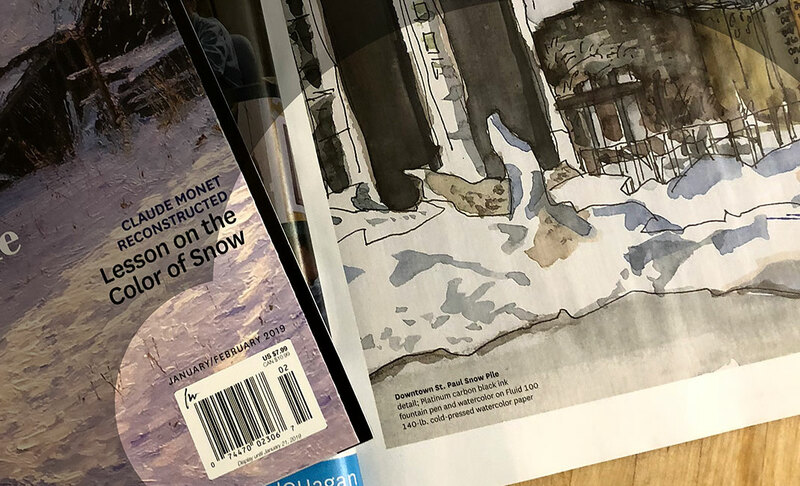 The issue includes my 4-page article with 9 helpful tips on sketching snow, as well as a full page sketch on the section opening page (shown in today’s photo). About ten or more years ago my friend Ken Avidor got me sketching snow piles because he was finding MONSTER piles (snow piles where all the city plowing trucks would dump their snow). I started sketching smaller piles that were across the alley, or across a street where I might be shopping. In short, I started sketching them everywhere I found them. I even made a zine about snow piles. In the article in Artists Magazine you’ll see nine of my favorite snow pile sketches and tips on how you can focus on snow, draw snow, and have fun sketching in winter. Ultimately that’s really what sketching snow piles is all about—getting out to sketch in the winter and continuing to sketch, despite the cold temperatures, wind, and, well snow! When you live in a climate where snow can fall all but 3 of the 12 months (I’ve seen it fall as late as May and as early as September) you really have to gear up and get out there, regardless of the weather. I hope you’ll pick up a copy of the January/February 2019 Artists Magazine and read my article. And I also encourage you to enter “snow piles” in my search engine and find even more snow pile sketches and thoughts on winter sketching. Then of course, if you are in the Northern Hemisphere, I expect you to get out and do some snow pile sketching of your own. International Fake Journal Month Is Coming Up! How exciting! I will be buying a copy for sure! 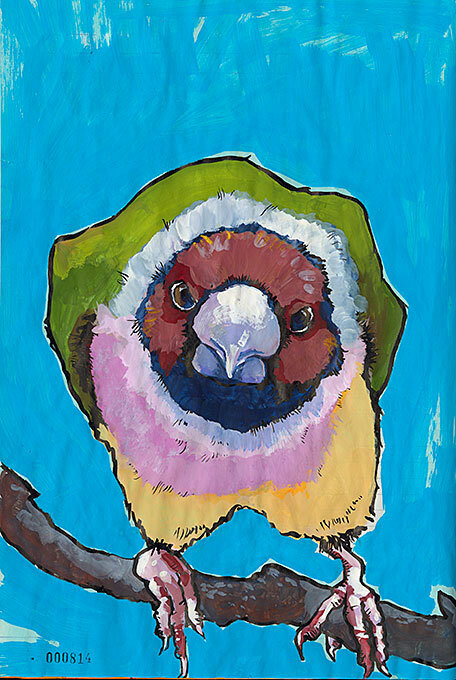 I think you’ll enjoy the issue, there’s a lot of fun stuff in it about winter painting. I opened my copy a few days ago and saw the first sketch and thought, “That looks like something Roz would do.” And sure enough it was you. Very nice article! That’s so funny Ted. I love it. I’m glad you enjoyed the article. I remember a few never-ending winters in Rome, NY. Winter has its own set of colors -I miss it, sort of (I’m in southern CA now). It definitely does. Sometime in December we start to get lovely blue skies without clouds. Stunning sunlight and a new set of colors to last us through spring.